Sofia could be likened to a Sleeping Beauty rousing from her slumbers, reawakening to share her charm with the rest of the world. With relics from Roman times to the Soviet era, a vibrant cultural and entertainment scene, and breathtaking views of the Vitosha mountain massif, Sofia is ready to reclaim her rightful place as one of the leading lights on the European sky. Opening hours: Most shops are open from 10 am until 8 pm on weekdays and between 11 am and 7 pm on weekends. Big shopping malls are normally open from 10 am to 10 pm. 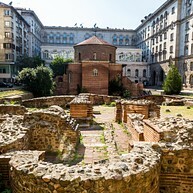 The central downtown district is where you will find the major sights of Sofia’s long history, with traces of Roman, Byzantine, and Soviet presence (neoclassical Stalinist architecture is still to be seen). This is also the city's business and commercial heart, where the major shopping avenues and entertainment areas are located. This is the most popular tourist attraction in Sofia. 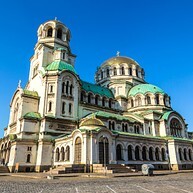 The beautiful orthodox cathedral was built in 1912 and took 30 years to complete. The cathedral was created in honor of the Russians soldiers that died in the Russo-Turkish war and holds up to 10,000 people. 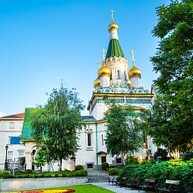 This gorgeous Russian Orthodox church is located in central Sofia. 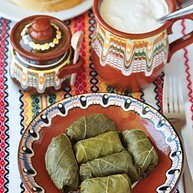 It was built by Russia after the liberation of Bulgaria. The grave of Saint Archbishop Seraphim is located under the main floor - believers still visit for pilgrimages, leaving notes with wishes and prayers. Encircled withing a courtyard of modern dwelling buildings, Rotunda of St George is the oldest preserved structure in the city, which has also been declared a UNESCO World Heritage site. The beautiful cupola holds a fourteenth-century portrait of Christ surrounded by four angels. Here you can view excellent displays of folk art and crafts. 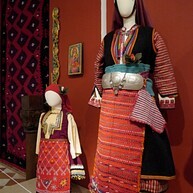 The museum has several different collections of items such as traditional clothing, copper objects, woodcarving, ceramics, and more. It is a rather compact space, but the guide provides comprehensive information about the exhibits. 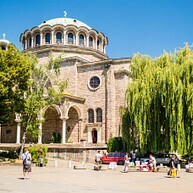 Boyana Church is the oldest Orthodox church in Sofia. This medieval construction, set in a green area at the foot of the mountains, was added to the list of UNESCO World Heritage sites due to its renaissance-style frescoes. In the church you can see 89 scenes with 240 human images. If you want to escape the pace of the city you can go to Mount Vitosha, whose peak is visible from multiple spots in the city. Here you can enjoy a hike through the forested slopes or rocky peaks, and even go rock climbing if active pursuits are a thing for you. This old, ornate building is a perfect place to go for some of the best postcard-ready photos in town. Its main draw, however, are the many shows held here. Check the schedule to see what performances are currently put on. Tickets may be bought online. Another one of the city's many religious structures, the Saint Nedelja Church dates back to as early as the 16th century, and can be found in the heart of Sofia. If you enjoy old icons and beautiful architecture, stop by along the route of your itinerary. The Museum of Socialist Art first opened in 2011. 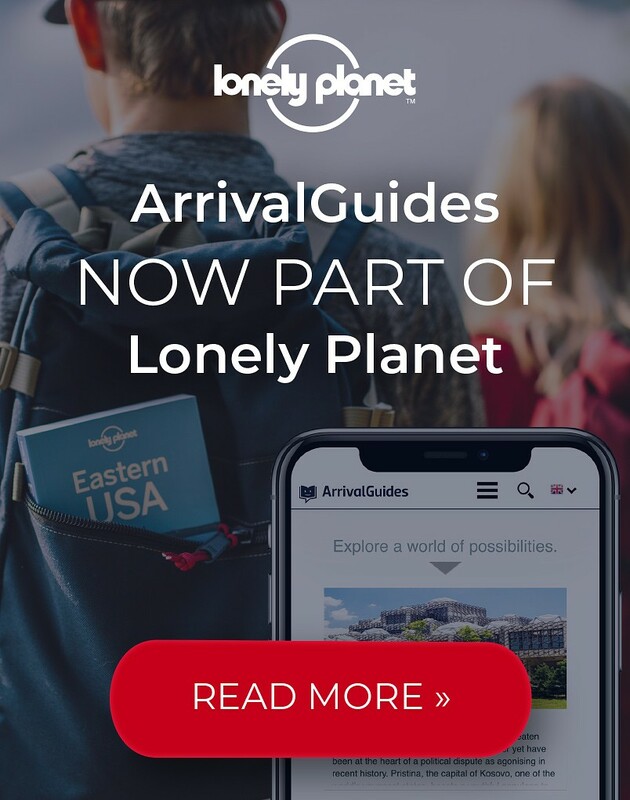 Here you can find a sculpture park and exhibitions featuring paintings and plastic easel works that relate to the socialist era in one way or another. The sculpture park contains a plethora of statues, from prominent leaders to factory workers. A lesser-know attraction, the National Opera and Ballet is Sophia's hidden gem. Performances are of very high quality, and good seats are easy to get (and incredibly great value). This is also the place to go and listen to classical music by great masters like Wagner and Rossini. 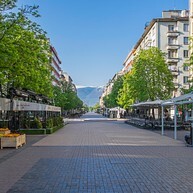 Vitosha, one of the most popular streets in Sofia, is certainly the place to be on a sunny day. This spacious boulevard has many cafés and shops, and is teeming with leisurely strollers and shoppers at almost any given time. 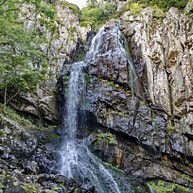 The Vitosha Mountain dramatically dominates the skyline in the south. 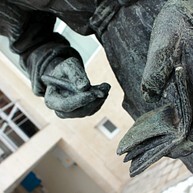 The famous Statue of Slaveikovs is located in its namesake Slaveikov Square. The statue eternalizes two poets, a father and son, sitting on a bench. Feel free to sit down right next to the famed Bulgarian publicists and capture the moment on camera. One of the nicest green areas in the city, Borisova Gradina is where locals come to spend a leisurly afternoon when the weather allows. Nearby are Vasil Levski and CSKA Stadiums, so the park will fit well into football-lovers' itineraries. There are a few cafes and children's playgrounds on premises. 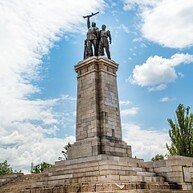 A must-see landmark, the Monument to the Soviet Army is a nostalgic reminder of socialist times. It shows a brave soldier surrounded by hard-working members of the proletariat looking ahead to the bright future that awaits. Located at the eastern entrance to Borisova Gradina park.